There are many small businesses and freelancers who launch marketing campaigns in Google AdWords or create profiles on all social networks without any clear objective. In this article I will explain the steps to follow to know how to get a successful digital marketing plan. Doing things without planning will not only achieve the expected results, but it is likely to be counterproductive. In this first part on how to get a successful digital marketing plan I will explain the first points of your planning, which are the analysis of the current situation and the setting of objectives. In an online marketing plan you will find all the important information for the development of the digital positioning strategy of the brand. The shorter and more concise the document, the better. It is important to be able to separate the dust from the straw and not detour. On the one hand it will be important to explain the current situation of the project, the starting point. Then we must set the objectives where we want to go, which must always be realistic, and finally we must explain how we are going to reach the proposed goals. Website: it is important to have a modern and updated web page. In this way, good web usability and good user experience will be guaranteed. This way, we will make it easier for users and customers to navigate through it. SEO: it is important to know what the current positions of the business are. See if the selected keywords are correct and see if the web is optimized in that sense. SEM: in the case of carrying out payment campaigns it is important to analyze them. Are the ads running well? Are the ads quality? It is important to answer these types of questions. Social Media: we have to see what profiles we have created. It is important to mention that it is not necessary to be present in all social networks. We only have to invest time in those that are going to report a real benefit. Analytics: an important factor. Is our online audience what we want? Online marketing allows users to know almost 100%. External analysis: surely you are not alone in the market, and you have a competitive sector, as well as a more direct competition than another. It is important to know in depth the sector and the actions and strategies of the competition. Imitate what they do well, and improve what they do wrong. All information from these analyzes should be reflected in a SWOT analysis, which will be included in the digital marketing plan. It must be very visual and summarize exactly the current situation. Once we know what situation we are in, it’s time to move on to the next point on how to get a digital marketing plan. For this we will have to set some objectives for the development of the strategy of positioning of the brand. Specific: it must be clear what we want. For example, increase sales by 5% or reduce the bounce rate to 70%. Measurable: the objectives must be quantifiable, in order to be analyzed. Achievable: the objectives set should be achievable with the resources available to the company. Realistic: first of all they must be realistic. We can not be a new online store and want to bill 10 million euros per month. Achievable in time (Timely): this type of objectives must be developed in the short and medium term. In this way we make sure that we will have a controlled growth of the company and we will be able to maneuver in case of not fulfilling the expectations within the stipulated term. Get the organic traffic of our website to improve by 35% in a year. 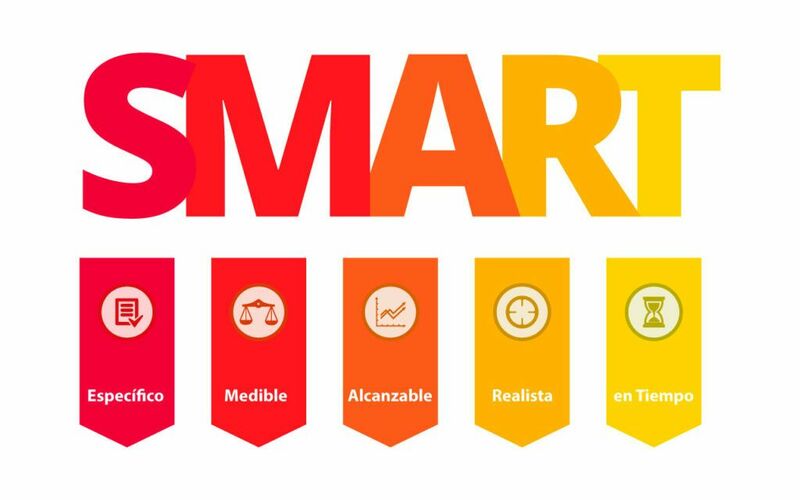 As you can see, the SMART objectives are quite simple to understand, and they will help you in a correct planning in your digital positioning strategy. With this I finish the first installment on how to get a successful digital marketing plan. In the next article I will explain the 3 missing points, which are the strategies and tactics to follow, the actions and the measurement of the results. I trust that these articles on how to get a successful digital marketing plan will help you to develop your own digital positioning strategy. I have based my experience as an SEO consultant for its development, and you will see that it is not as complicated as it seems. We just have to have things clear, and in this way we can have a realistic and concise planning. Discover the second part, to be able to do 100% your online marketing plan.